Today we commuted from Krušovice to Prague. We’re staying in a family apartment in District 5 (the neighborhoods are referred to by reference to their postal codes). We had somewhat of a tough time deciding whether or not to return to Prague and stay here or to remain at the farmhouse with Nicolle’s family for a few more days. The choice – though it was not mine alone to make – was personally difficult because my reasons for staying or going were in direct and fairly equal competition with one another. First, if we had stayed, we’d surely be more comfortable and would sleep and eat better than if we headed to the Prague apartment. However, if we remain with family, that family, gracious as they are, will feel compelled to entertain us, and we might feel compelled to be entertained by them. Personally, this is trouble for my writing schedule: I’ve written over 20,000 words in the 14 days leading up to my stay with Nicolle’s family, but my productivity has plummeted. Consequently, my anxiety grows with each passing day of inactivity with regard to my writing. In Prague, I’ll be freer to read and write at my leisure. 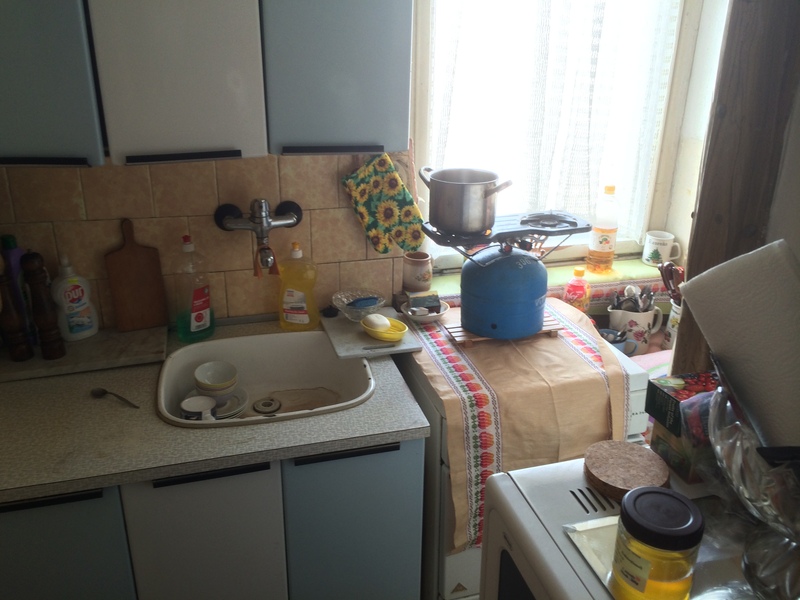 That said, there are some distinct drawbacks to going to stay in Prague. At the apartment in which we’ll be staying in the city, we’ll be sleeping on uncomfortable beds (calling them “beds” is a bit of a stretch – they’re more like boards with soft fabric covering them). The building makes me think of photos of soviet housing from the 1980s and doesn’t inspire feelings of comfort and ease – at least not for me, anyway. By staying at the farmhouse, where it’s surely more comfortable, we’d also be away from the city of Prague, which I want very badly to tour and in which I hope to wander for a few days. In any case, I put the decision to my traveling partners, and we end up back in Prague to spend the next five or six days. 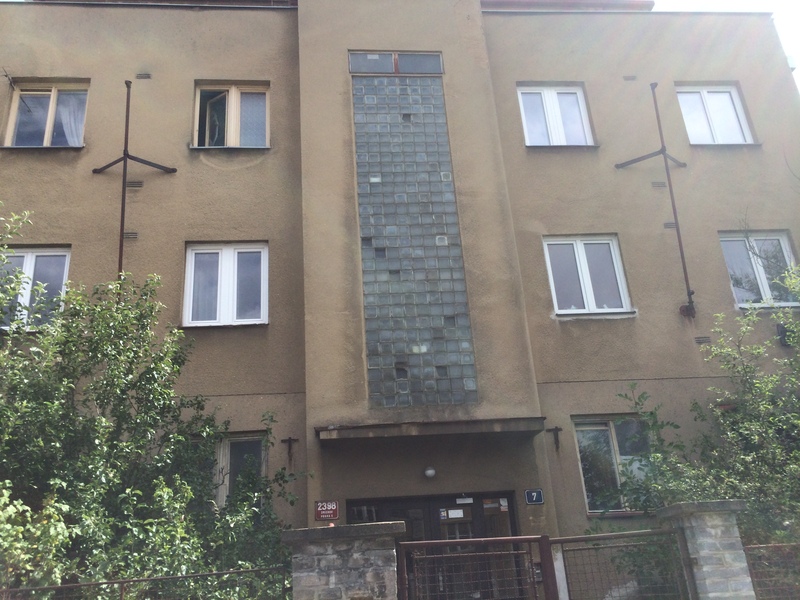 I’m pleased by the move, just as I would likely have been pleased to stay for a little while longer in Krušovice. After we arrived in Prague, we napped on the board beds and headed to the neighborhood grocer, which is about a block away. While we shopped, an employee accused a shaved-head man of stealing. The man asked to be left alone, but was behaving very strangely… he hurriedly marched to and fro around the shop, picking out items while the shopkeeper watched him carefully. He reported to the register to pay. Having purchased his goods with cash, the attendant said something to him that I assume ran something like, “…and never come back in here again!” He vaulted across the aisle to where the shopkeeper still watched him and slapped the man in the face. The youth then bolted from the scene. The employee chased him out the door, picking up and tossing a shopping basket after him. Later, I imagine tripping the belligerent and play out that fantasy for a little while. I could have helped the shopkeeper to take his revenge on the bandit. We could have pummeled him together, forcibly taking justice for society. It probably wouldn’t make me feel any less anxious. 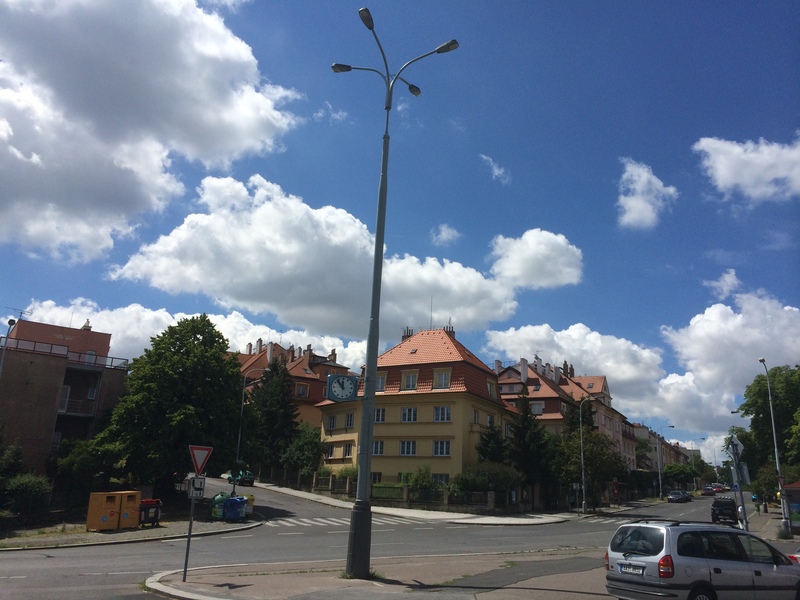 This entry was posted in Travelogue and tagged fantasized retribution, Krušovice, Prague, Prague Apartment, Praha, thievery, travel anxiety, traveling, writing, writing habits. Bookmark the permalink. Keep up the good writing, Steve. I especially enjoyed the ending. Thanks a lot for reading and I am glad you’re liking it!